In less than twelve hours Samsung will take to the stage in San Francisco to unveil the Galaxy S10 series, or at least what is left of it – most details have already leaked. According to rumors, these will be joined by a fourth smartphone, the Galaxy Fold. This premium device probably won’t be announced in its entirety today but Samsung does seem set on teasing it yet again. 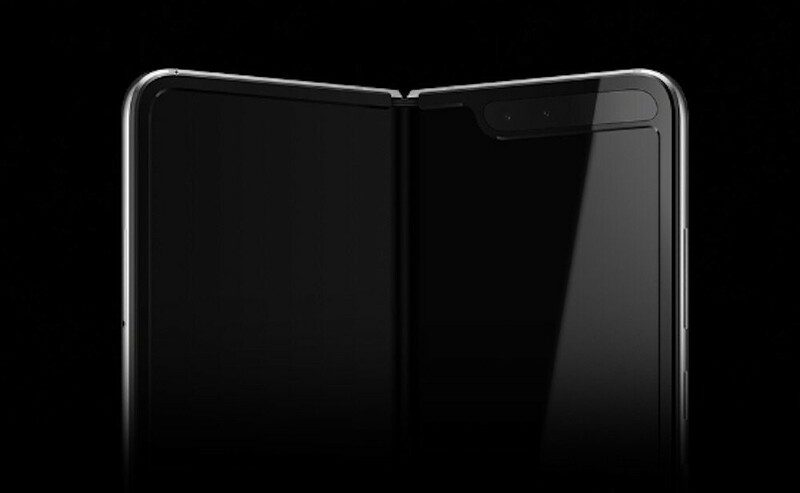 And thanks to one website, official press renders of the company’s first foldable smartphone appear to have been obtained ahead of today’s event. Contrary to recent rumors and patents, it seems as though Samsung has indeed equipped the Galaxy Fold with its next-generation Infinity Flex Display. This panel, according to reports, sits at 7.3-inches in size when fully opened up. However, if users wish to use a smaller portion of the display, the device can allegedly be closed providing them access to a secondary 4.8-inch panel. Despite this being a first-generation device – these are often much more clunky – the overall design of the smartphone looks rather sleek. From the look of these renders, Samsung’s new Infinity Flex panel is accompanied by relatively slim and uniform bezels. However, there is one rather odd element in the top right-hand corner. Rather than implementing the usual front-facing camera, proximity sensor, and any other necessary elements along the upper bezel as is often the case, Samsung seems to have opted for a notch. However, this is no ordinary notch. Much like Samsung’s 5G smartphone prototypes which it showcased in December, the Galaxy Fold includes a rather wide corner notch which includes a separate layer of glass on top. At the moment, it’s unclear what kind of technology is housed within it. Nevertheless, the renders do appear to show a dual-camera selfie setup. While the details remain unconfirmed, it seems likely that the Galaxy Fold will borrow the cameras found on the Galaxy S10+. If this is the case, up front users can expect a 10-megapixel sensor accompanied by an 8-megapixel alternative which should help drastically with bokeh imagery. Over on the rear, previous reports have suggested that a triple-camera setup will be included. This isn't visible in the alleged renders but it also seems likely to match that of the Galaxy S10. Thus, a main 12-megapixel dual-aperture camera is to be expected alongside a secondary 16-megapixel wide-angle alternative. There should also be room for an extra 12-megapixel paired with a telephoto lens, allowing people to take advantage of 3x optical zoom. 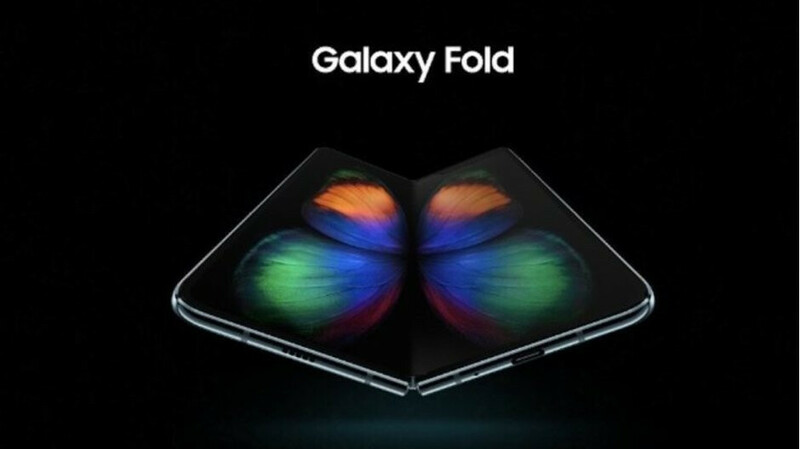 Like most 2019 flagships, the Samsung Galaxy Fold is rumored to arrive powered by Qualcomm's Snapdragon 855, the same processor found inside the upcoming Galaxy S10 trio. This should be paired with a whopping 12GB of RAM and 1TB of internal storage. Alongside these specifications, a 4,400mAh battery is to be expected alongside Android 9 Pie complete with Samsung's One UI overlay. After all, Samsung designed this custom interface with foldable smartphones in mind. Bluetooth 5.0 and NFC should be present too, as should 4G LTE support. However, 5G compatibility does seem unlikely at this point. Are These Renders Actually Real? At the moment, there is little to go by in terms of the Galaxy Fold's design – only the dimensions have leaked out – so these could easily be accurate. Alternatively, the renders could be a fan-made concept based on what they want the phone to look like. In either case, it shouldn't be too long before we find out. As mentioned above Samsung is expected to tease the Galaxy Fold in at least some capacity later today. However, those looking for internal specifications and the smartphone's pricing and availability may have to wait a bit longer. After all, announcing all of this today would distract people from the Galaxy S10 series, which is meant to be today's main event. i don’t like folding open in book style. Did you want wallet style, blanket style, towel style...? This foldable phone is good for people who want to keep a compact phone in their pockets but don't miss out on hardware. 3 factors for me to buy this: over-all specs, folded thickness and price. Meet my demands, samsung and you get my money. If u eliminate the notch, the video screen then can be 16:9 I guess. "Paired With a Unique Notch" .... k, I'll wait for next generation ... when this notch nonsense will finally be dead. i think the notch might be game controls. Looks like there is a gap between the phones, so it's probably two separate displays and not one, like everyone was hoping for. That is render and not the real phone. Why judge before we see the real deal. No way. The phone is bent in the render. That 'gap' you're seeing is simply where it hinges. There's no way there will be a gap. It looks like one display attached to two bodies with maybe two batteries?